While at the International CES 2015, I got to sit down with Jeff Laity of TASCAM to learn about new products coming soon. A fan of TASCAM recorders for many years (I still have my TASCAM 4-track tape recorder in the basement) and owner of the DR-60D, I was excited to learn about the DR-44WL and other new recorders coming out. Jeff showed off the DR-44WL in the video. This is a 4 track recorder with 2 XLR inputs, XY pattern microphone and dual recording feature so you can record a high-quality .WAV file and a lower quality audio file which could be transferred quickly to the web. Both devices handle sound pressure up to 132dB and reduce noise if you are holding the recorder in your hand with cradled shock mounts. The Microphone preamp in the DR-44WL can handle whatever microphone you plug into it. Both the DR-22WL and DR-44WL also have built-in WiFi so you can not only control your device from your iOS or Android phone, but also playback what was recorded, then push to your favorite audio website. The device creates a Wi-Fi direct signal for your phone to connect to (with SSID and WPA security). 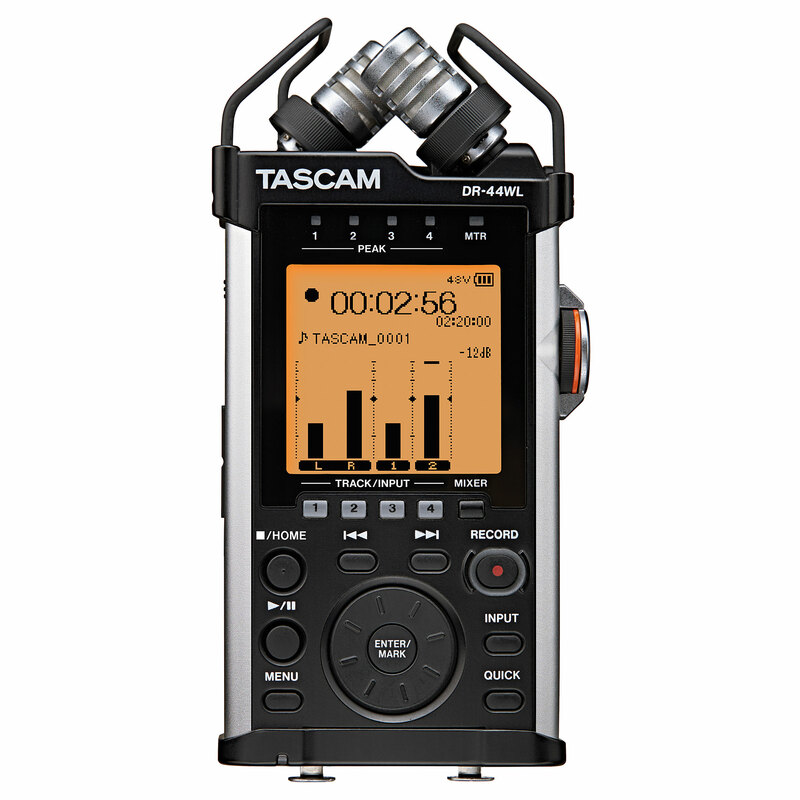 Once you connect the phone to TASCAM device, you can start or stop a recording, play it back through the smartphone, adjust levels and low cut filters and more. You can record in WAV (24 bit) or MP3 formats. Dual recording can be mixed, but the WAV has to be 16-bit. Once recorded, send your files to SoundCloud, then share on your favorite social network. You can even transfer files to an FTP server so others can grab and mixdown soundbites of interviews recorded. I also got to see the successors to my DR-60D including the DR-60DmkII, TASCAM DR-70D and the TASCAM DR-680MKII field recorder. All great new devices that help get the audio recording for your video, podcast, radio or other broadcast needs.